You can barely bat an eyelid these days without a bizarre beauty trend making itself known. In the world of beauty bloggers and Instagram, we're constantly 'blessed' with all sorts of weird and wonderful ways to mix up our makeup routines. And while brows have been the weapon of choice in recent times, mad makeup artistry has now trickled its way down to our lashes. Welcome to 2017: the year of upside down lashes. We've said to hell with standard beauty ideals and turned them on their heads, quite literally, and today it's time for the upside down lash to flutter into the spotlight. We dare you not to bat an eyelid. Like the squiggle brows and snake eyeliner before it, upside down lashes are the handiwork of an ambitious beauty blogger hoping to go viral with her reinvention of the classic feature. Meet: Storm Dunder (real-name) - the original purveyor of the flipped lash. 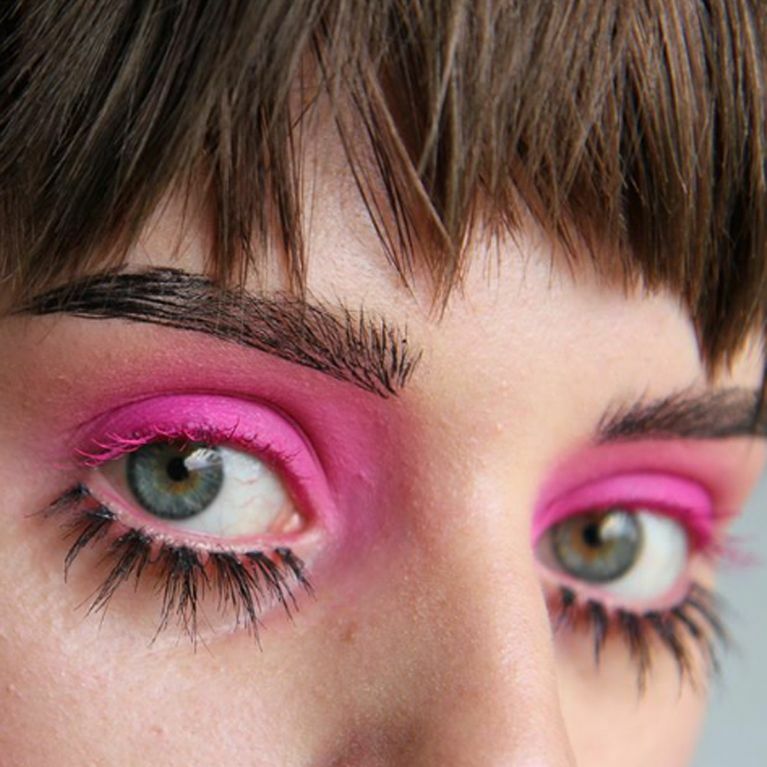 Quite simply, the upside down lash craze involves camouflaging your natural, upper lashes and applying individual falsies to your lower lash line. Considering we find it near-on impossible to align a normal false lash, this mini-trend is probably best left to the professionals.